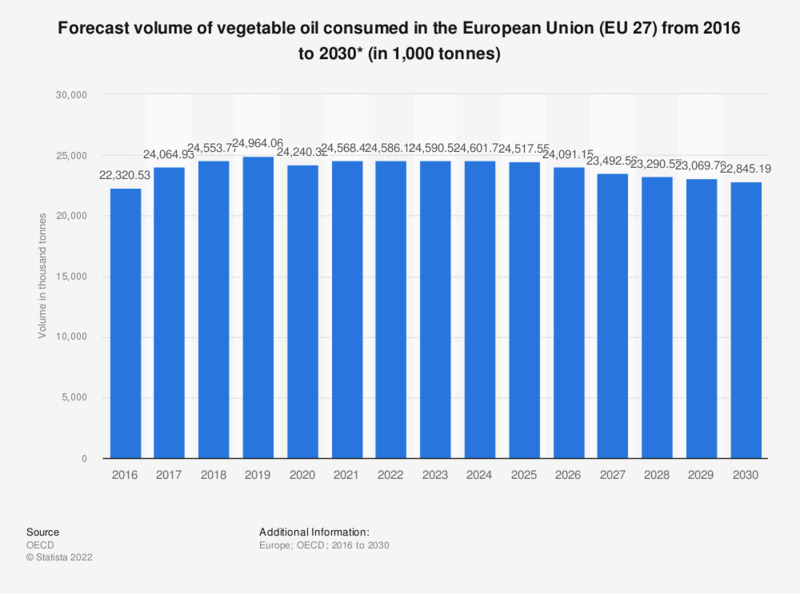 This statistic depicts the forecast volume of vegetable oil consumed in the European Union-28 from 2015 to 2027. According to the data, the estimated consumption volume of vegetable oil was forecast to amount to approximately 24 million tonnes by 2027. The values reported by the source have been rounded. * Data from 2018 to 2027 is forecast.